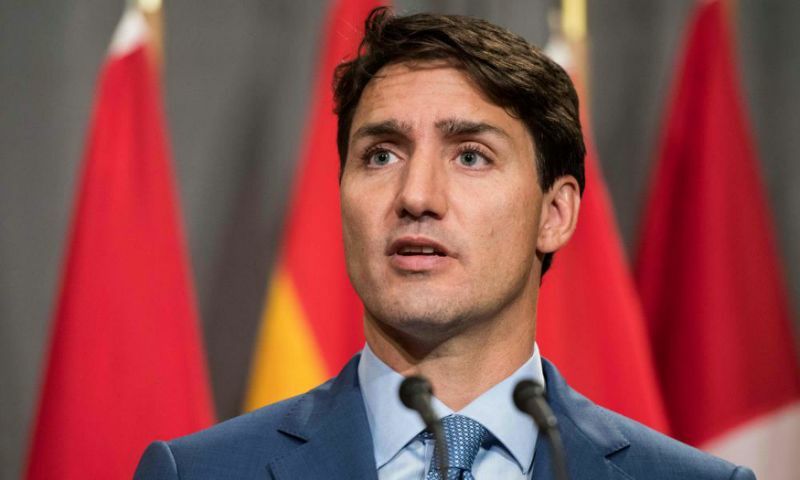 China has expressed “strong dissatisfaction” with Justin Trudeau after he criticised the death sentence passed on a Canadian man convicted of drug trafficking, as the two countries continued to spar over detained citizens. The Canadian prime minister should “respect the rule of law, respect China’s judicial sovereignty, correct mistakes and stop making irresponsible remarks”, foreign ministry spokeswoman Hua Chunying said on Tuesday. A day earlier, Trudeau said that the death sentence had been applied “arbitrarily” in the case of Robert Lloyd Schellenberg when it was upped from a 15-year prison sentence on appeal. “We express our strong dissatisfaction with this,” Hua said. But on Tuesday, Canada showed little sign of backing away from its condemnation of the verdict. She said Canada’s ambassador, John McCallum, had petitioned China for clemency on behalf of Schellenberg. Schellenberg’s lawyer has said his client plans to appeal. If the appeal is rejected, then the court’s verdict will go to the supreme people’s court in Beijing. If they approve it, the execution could happen within seven days, but the court could also reduce the sentence. Relations between the two countries which only months before had been in pursuit of a large free trade agreement turned icy in early December when Canadian authorities arrested Meng Wanzhou, a senior Huawei executive and Chinese citizen, for extradition to the US. On Tuesday, hours after Ottawa issued a travel warning for Canadians in China, Beijing published a similar advisory telling its citizens to “fully evaluate the risks” of travelling in Canada and detailed the “arbitrary detention” of a Chinese national. Critics say Beijing is using Schellenberg’s case to exert pressure on Ottawa. But analysts have been confounded by the dramatic deterioration in relations. While China has been vocal about Canada’s arrest of Meng on 1 December, Trudeau’s comments in recent days have also been “unhelpful”, said Byers. Domestically, Trudeau has faced growing criticism from opposition parties for his reluctance to speak directly with Chinese president Xi Jinping.